We provide a full range of preventative, restorative and cosmetic treatments for the whole family, and specialise in crowns, bridge work implants and dentures. We also hold the only NHS contract for children in Broadstone, Poole. Broadway Dental Surgery we’re passionate about providing excellent oral healthcare. We want your teeth and gums to stay healthy, and also there are proven links between oral health and overall health. Dr Kevin Brown and his associates are highly trained, experienced dental surgeons support by our highly experienced registered nurses who between them have worked for the practice twenty years. At Broadstone Dental Surgery we’re passionate about providing excellent oral healthcare. We want your teeth and gums to stay healthy, and also there are proven links between oral health and overall health. Recent research has linked oral health to heart disease, diabetes, strokes and pregnancy problems, not to mention tooth loss and familiar dental issues, emphasising the importance of good oral hygiene. Our dentists understand this and will give advice and guidance on perfecting your brushing techniques and choosing the right kinds of products to improve your health and keep your smile fabulous. Teeth and gum disease are entirely preventable - regular appointments are important to identify these diseases early and develop treatment plans. 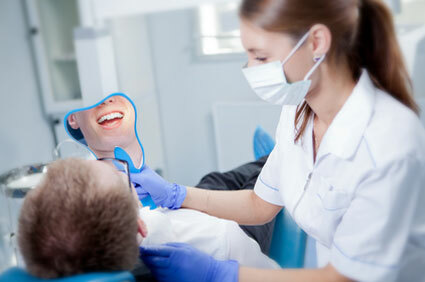 Remember our dentists examine the whole mouth, and so will also be able to identify other oral health concerns too.